Valentine’s Day can be a day of celebration for many, or a day to make fun of for others. Either way, it’s a day of significance. Looking at large companies, we can see that Valentine’s Day is a good time to jump in with some creative, fun ideas for the season. Sometimes this can feel like a hard task. What ideas are good ideas? How can you stand out when everyone seems to be trying to get attention from lovebirds to go to their business or product? It’s time to sit down and talk about ways to get your business thriving during this heart-candied time. Don’t ostracize singles who can’t celebrate with a significant other. You can look around and see other marketing campaigns that have done a great job of including everyone. There are ways to keep Valentine’s Day fun regardless of the relationship status. Market your business towards everyone who wants to get in on the Valentine’s Day fun, not just the starry-eyed lovers. This tip should be kept in mind for all of your marketing strategies. If you have a message aimed towards couples, also aim one towards people who love their community. Self-love campaigns are also something everyone can get in on and promotes positivity within your brand. Have a Valentine’s Day or pet day event with a speaker who can relate to your audience. Your speaker doesn’t need to be nationally acclaimed. If you know a speaker who is local, fun, and entertaining or can impart relevant knowledge, go for it. Make sure you get the word out on social media, email, and through flyers. Partner with a company to provide gift bags or a dessert that is festive yet fits your brand. 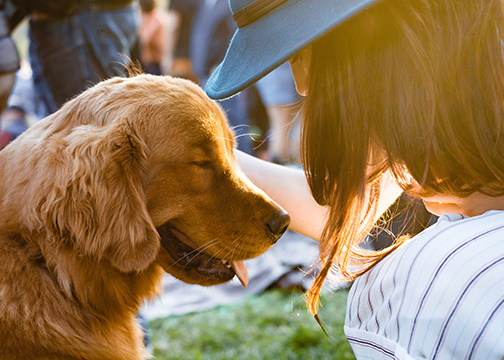 You can celebrate love of community, animals, friends, etc, without losing the tone of your company. If you are more informative than a fun or playful brand, you can host an informative event that is tied to serving others. At this event you can provide gifts or have a competition for one of your products. Within all of the fun, make sure you lightly promote your product without being too pushy. You can do this through your decorations or a friendly reminder after a speaker has finished that you have sponsored the event. Whether online or in your brick-and-mortar store, be sure to offer a deal on one of your products. Get the word out through your social media platforms, but don’t forget to keep it festive. If it fits your brand, use a Valentine’s Day joke or information that can tie the love of serving others and your service together. Along with purchases in your store, you can provide a free item that represents the day. If a customer buys a product or service, you can give them a free, small gift like a box of candy or accessory. You can also advertise gifts for that day on your social media or on flyers outside of your store. People like celebrating different days and will be more likely to buy from you if you are obviously seeking ways to make your customers’ day better. Valentine’s Day is a great opportunity to market your brand in a way that is fun for both you and your clients. This one definitely takes some thinking ahead. Try brainstorming ways to make one of your products a little more celebratory of love. Whether it’s love of food, friends, the world, animals, cars, etc. 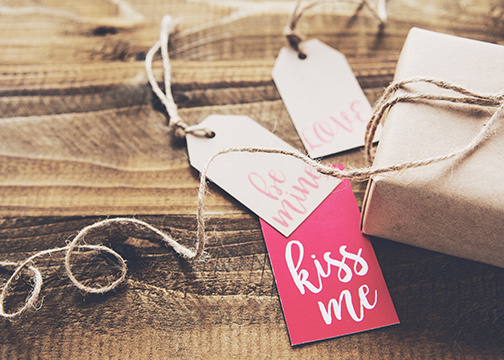 It may take a simple design change to make your product the perfect gift for Valentine’s Day. Change your packaging for the month as well. A few red and pink hearts can go a long way to show your clientele that you are paying attention. Holiday specials add a certain level of credibility to your business. It shows that you and your team take pride in your job and are looking for ways to reach your audience. Whether people think it all the way through or not, your business will appear better to them if you are creative and up-to-date with your marketing. First off, donating to charity is a good thing to do to help the community around you and be a friendly working member of society. Donating to charity can also become a fun event to celebrate the day. By sponsoring or hosting a charity event, you can tell the community that you are invested and active in the lives of those around you. This can also help to create a fun marketing campaign. Whether or not you are selling a specialized good for Valentine’s Day, you can put the spotlight on a charity that relates to your business for the following weeks. A charity event is a great way to get your name out there without trying to sell your brand and your product all of the time. It communicates that your business is made up of people who care about others and not just a face-less company. It’s easy to find useful hashtags on Valentine’s Day. It’s much better to find a way to actually engage with your online audience during this time. Engagement is what truly helps build your brand loyalty. 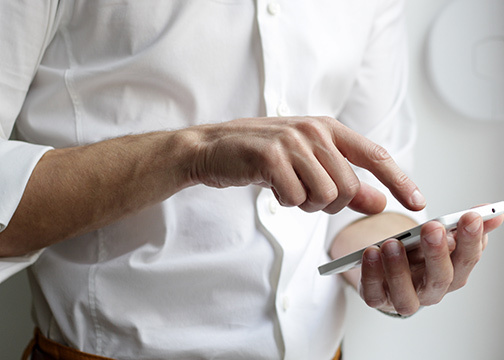 Polls are a great way to get people to communicate and engage with your brand without putting in an extreme amount of effort. Try creating polls that relate to Valentine’s Day. These polls will of course vary from brand-to-brand depending on the voice of your company. If you are personable and freely joke around with your audience, ask what date ideas people prefer, or would dread. If that isn’t your brand style, you can tie your charity with a poll and ask your audience about a statistic that relates to your issue of concern. Audience members can guess what they think is true, or who said what quote, etc. Social media is fun and quick, but don’t forget your email marketing strategy. With an ROI of 4400%, it is vital to pay attention to your email marketing strategy at all times. Whether you decide to work with a charity, host an event, have a discount, create a new product, or create a fun poll, don’t forget to promote it fully on your email in your weekly newsletter and a couple Valentine’s Day special emails leading up to the day. Send event invites as via email well. Your email list is priceless as people fluctuate from varies social media platform. Make sure to create a campaign that can lead people to join your emailing list. You can even give a discount or free Valentine’s Day item in a form that requires an email address. Ready To Sell On Valentine’s Day? Whatever your strategy ends up being, don’t forget to go for it fearlessly. Marketing takes time and effort. One post or one Email isn’t enough to show your audience that you are serious and paying attention. If you need help creating Valentine’s Day content that will generate more leads for your company this February, Fill out the form below for a FREE consultation today so we can get started!